1. 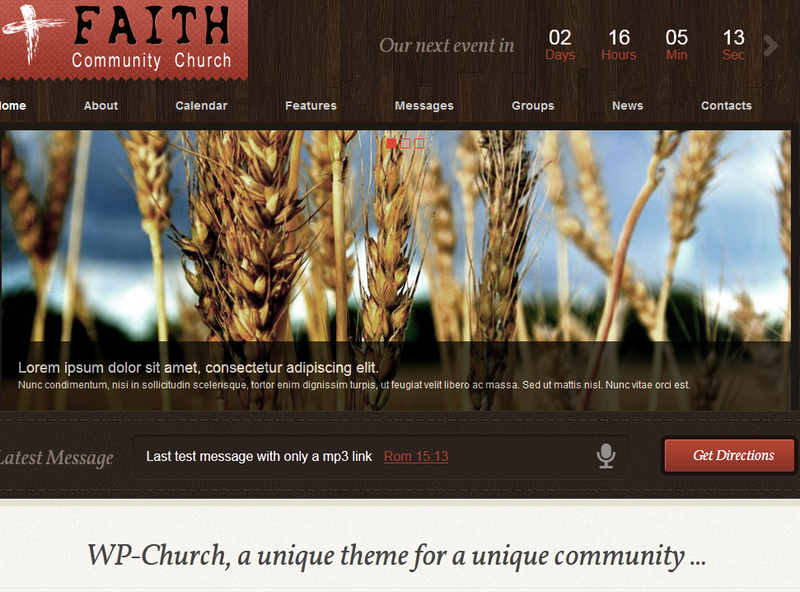 WP Church: WP-Church: a highly attractive template for churches and faith communities. It has 8 custom widgets and 6 custom colors. It offers support for Google Maps. A scripture finder is included too. 2. 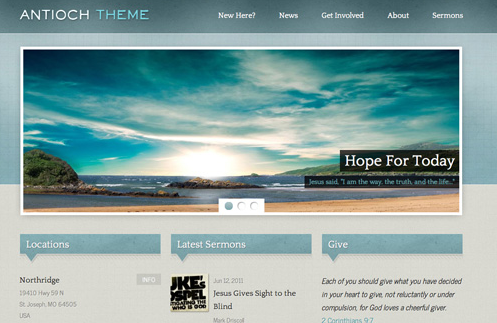 Grace for Church: Grace is a light-color theme for church and christian websites. You can use it for other religious websites as well. You can easily embed your videos. It’s also search engine friendly. 3. Born: Born for WordPress is great looking and highly customizable. You are in control of colors, fonts, and the image showing in the background of your site. It supports 4 custom types (events, videos, audio, galleries). 4. 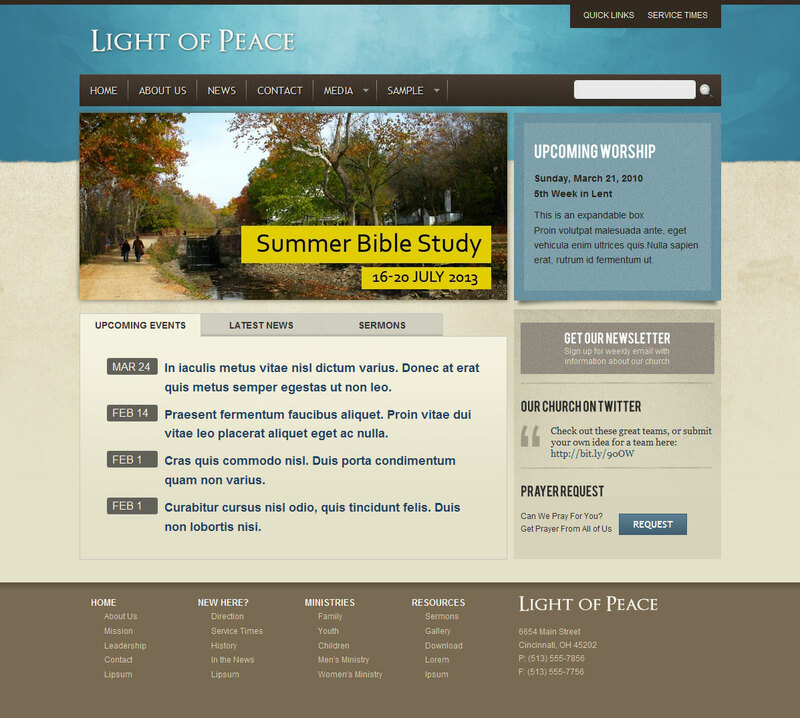 Light of Peace: a versatile theme you can use for your church, wedding event, and everything in between. It takes advantage of jQuery and has multiple page templates. 5. 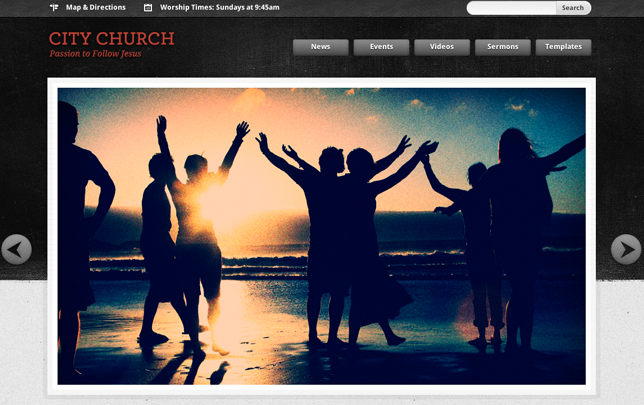 WordPress Church: a very cool looking church theme for WordPress. It’s very flexible and comes social media ready. Best of all you get the PSD files with it as well to further customize the theme. 6. Ecclesia: Ecclesia offers 6 color schemes and an unlimited number of color variations. You also get 18 custom widgets to further customize your site with. 7. Ray of Light: designed for church sites but can be used for other types of religious sites as well. It offers automatic image resizing and an easy to use control panel. 8. Outreach theme: powered by Genesis Framework for WordPress, Outreach is customizable enough for you to use it for your church, non-profit organization, and everything in between. 9. 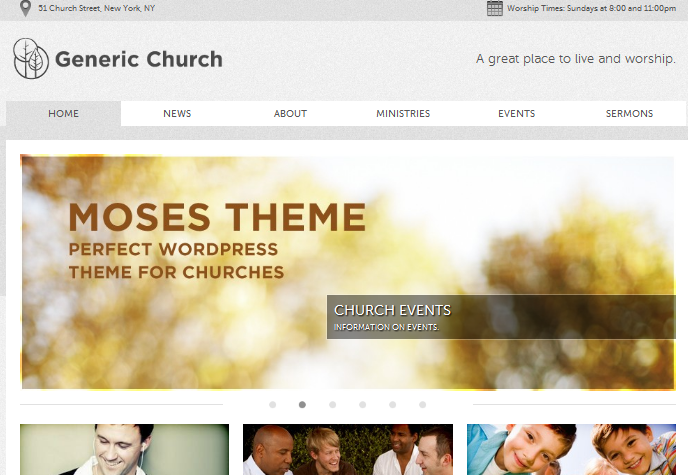 WP-Church: a robust theme that has everything you need to promote your church and its activities. It has automatic scripture finder, 6 color schemes, and 8 custom widgets. 10. Antioch: an image and video friendly theme for churches. It has a simple design but is still great for promoting your upcoming events. 11. WordPress Aid + Charity: you can use WordPress Aid for charity organizations, churches, cause marketing, and other similar purposes. It has donation tracker, call to action, and unlimited color options. 12. 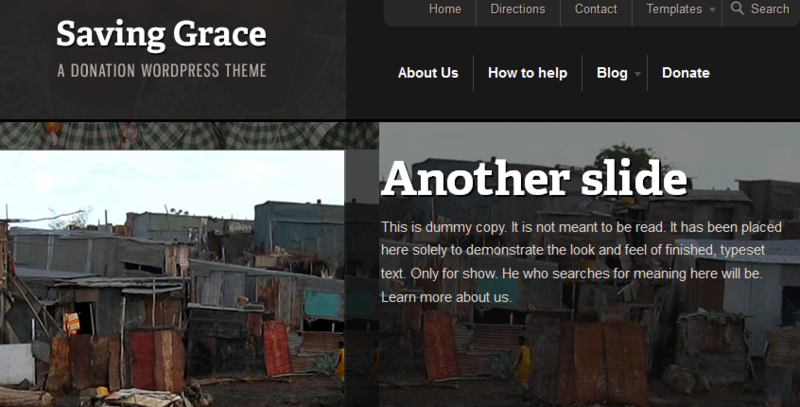 Saving Grace: this is an attractive theme for non-profits and those who are raising funds for a noble cause. It has 5 color schemes and a donation bar. 13. 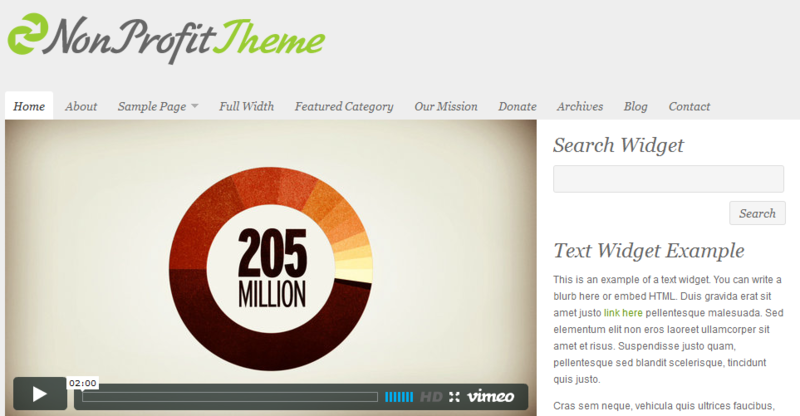 Ezekiel theme: a highly customizable theme for WordPress. It has 6 page templates, 4 custom widgets, and is podcast friendly. 14. 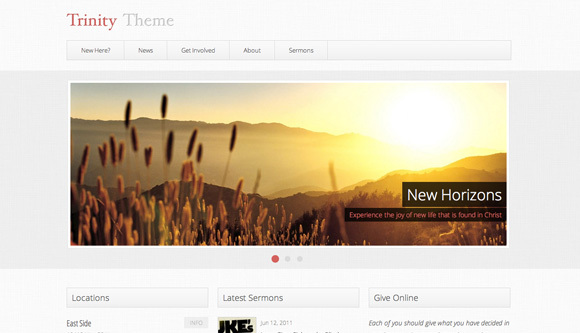 Moses: designed specifically for churches, this theme lets you add your events and post sermons to your site. It has a HTML5 audio player and 5 color schemes. 15. Mu Theme: this theme comes with multiple styles and backgrounds. It automatically resizes your images and is highly customizable. 16. 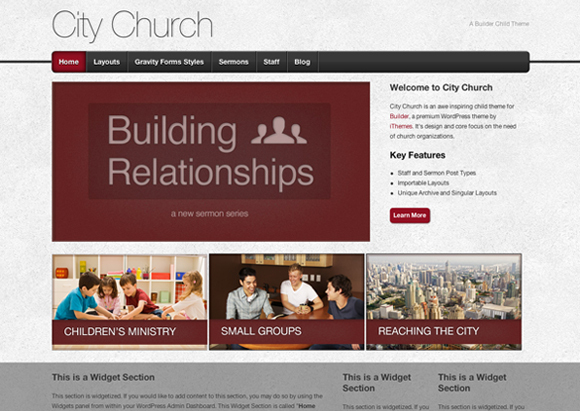 City Church: City Church is a child theme based on Builder framework. It is highly user friendly and makes adding text and audio content to your site easy. 17. 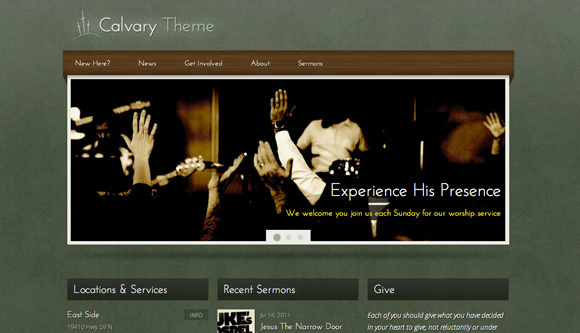 Ambience: Ambience is a dark, very slick theme for your church website. Very flexible and comes with banner management and 5 layouts to choose from. 18. 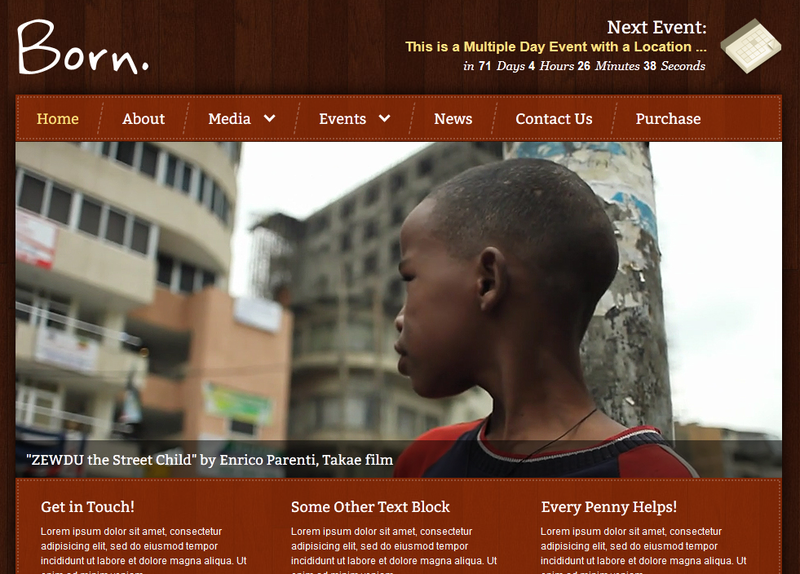 Charity theme: Charity is powered by UpThemes framework. It has an easy to use image slider and a powerful back-end. Uploading your own images to this theme is pretty easy too. 19. Organic Non-Profit Theme: Non-profit has a professional design and is perfect for non-profits, green businesses, and religious sites. It is SEO friendly too. 20. 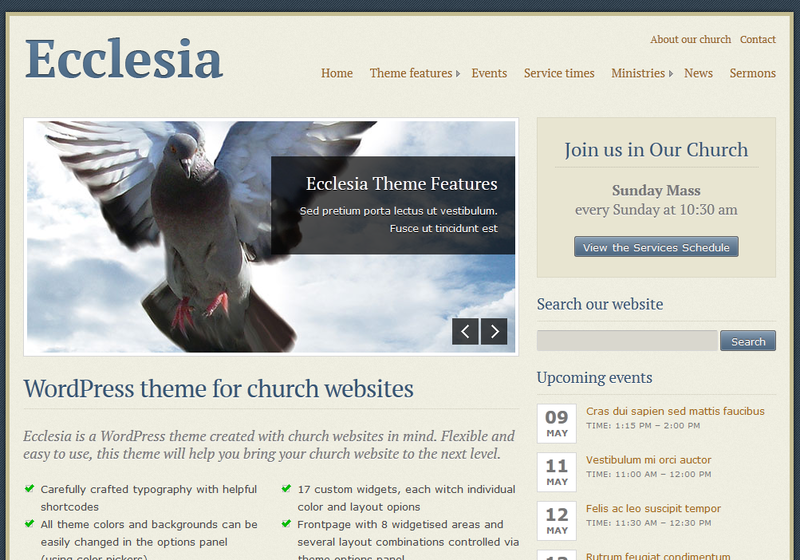 Delta Theme: an easy-to-use and simple theme for churches. Does not have as many bells and whistles as some of the other themes in this list. 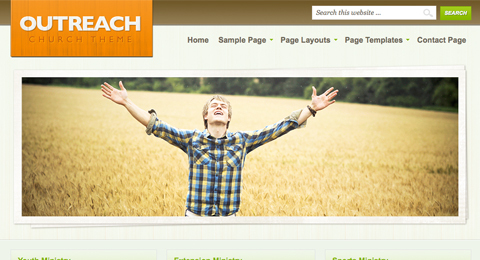 21. bChurch: bChurch is a good looking theme for religious WordPress websites. It can handle videos and is social media friendly. 22.Flashlog: Flashlog is a dark theme that you can adopt easily for your church’s website. Comes AJAXified with advanced flash integration. 23. Rebirth: Rebirth is a dynamic theme that provides support for video, audio, event, and gallery type posts. The homepage is highly customizable. 24. True North: True North has 6 custom widgets and nine custom sidebars. The admin panel makes customizing this easier. Google Maps is integrated into this template. 25. Open Air: Open Air is a magazine-type WordPress theme for churches and any other type of religious website. It supports Flickr. 26. Trinity: Trinity for WordPress has a light tone and clean looks. It lets you promote your sermons and other events conveniently. 27. 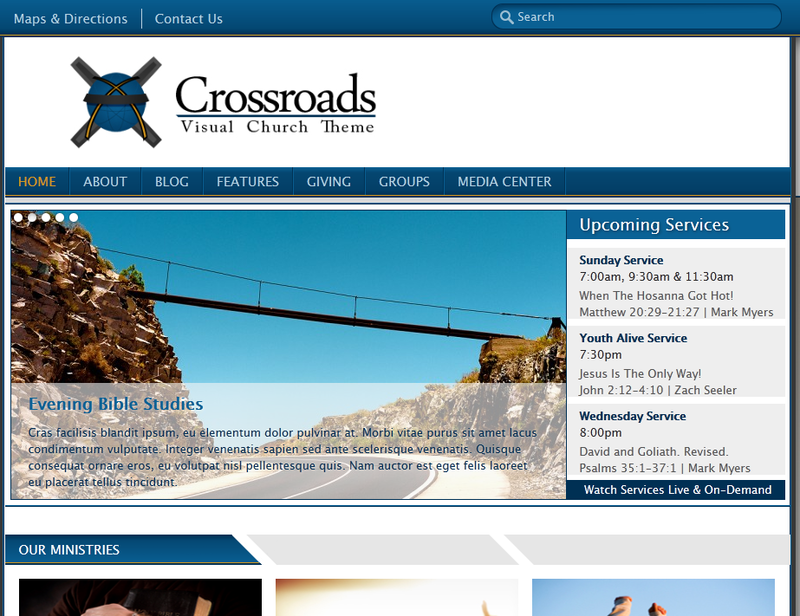 Crossroads: Crossroads has valid HTML5 code. You get custom theme widgets and a side-blog page template. It is social media friendly. 28. 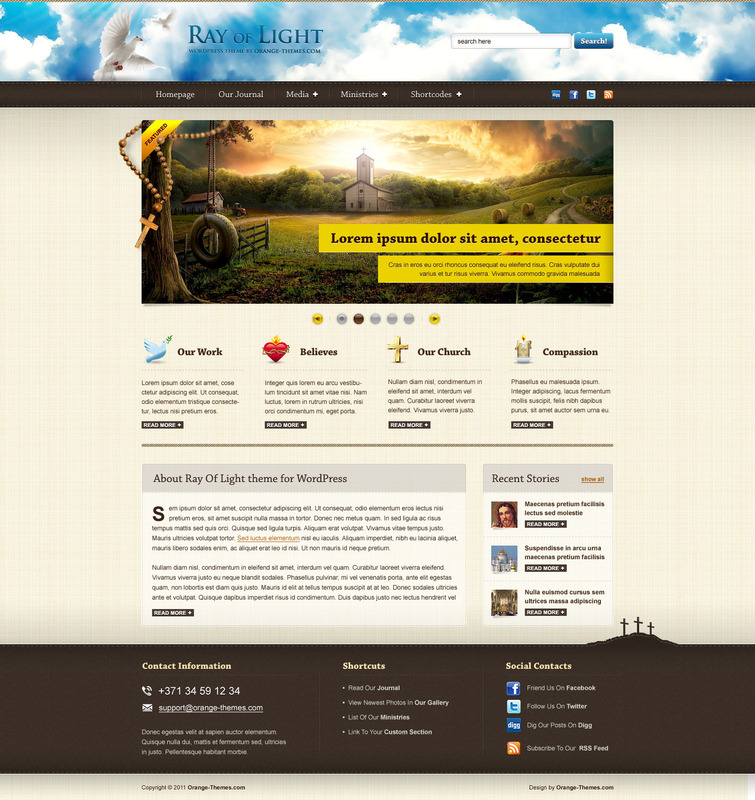 Malachi Theme: Malachi is a video-based theme designed specifically for churches and religion-based communities. You get 7 page templates, 4 custom widgets, and 5 custom post types. 29. Calvary: Calvary has a down-to-earth style to it with dark earth tones and textures. It is lightweight and quite fast. 30. 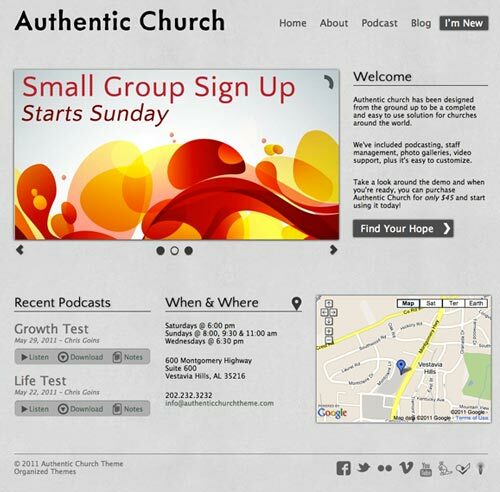 Authentic Church: Authentic Church Theme has built-in podcasting capability. It can handle videos very well as well. You get a bunch of custom widgets to further customize your site. Whether you are looking to set up a church website or use WordPress to create a portal for your mosque, you can do it easily with the above themes. You don’t necessarily have to spend thousands of dollars to start your online presence these days. Your take: did I miss anything? Please feel free to share your favorite premium church themes below. looks like many of these theme preview links are broken 🙁 do you have a way to preview the themes in this list? I am not sure which ones are broken. As far as WooThemes and NattyWP, the link is to the page that includes the themes on them. Please let me know which link didn't work for you and I'll fix. I use to revolution church template. 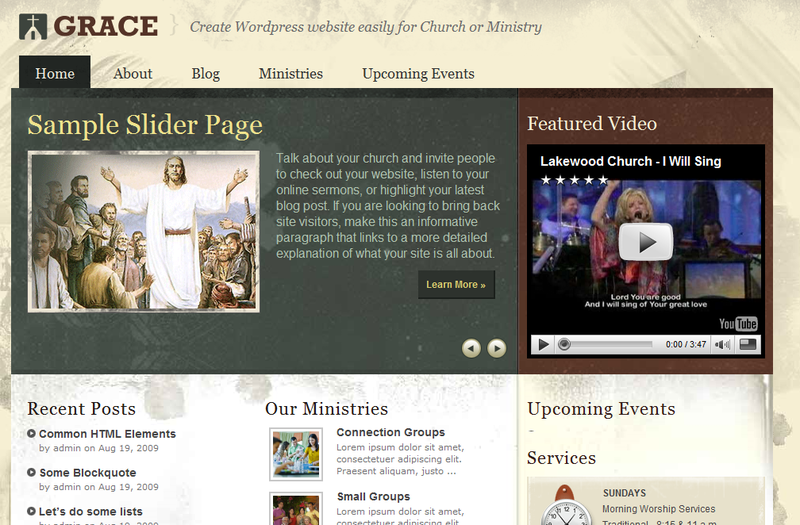 I have several WordPress themes designed for churches available at http://www.organizedthemes.com. Give them a look. I'd love to know what you guys think. Great listing of themes youve got there. You also missed http://ministrytheme.com. I see you put a lot of work in your blog Bookmarked! Thanks for mentioning our theme, Antioch! churchthemes.net review from a customer. I bought their Calvary theme. the theme is fine. but the 30 days free support is a joke. don't expect much from that. I entered a support ticket 5 days ago, still no answer. anything you buy in the store you get a full year warranty. I don't expect a full year of free support but certainly they can do better than a lousy 30 days? Wish I would have saved my money and kept the FREE version. the theme also did not include the psd file like they promise. I wanted the psd file for the logo so I can edit it. But it was not included. That was the main reason I bought the theme, to get the psd file for the logo. Sorry to hear you had a bad experience with them. I know a lot of theme providers offer longer support and then there are some that charge monthly for it. If they promised you PSD files, they should absolutely provide you with that. Did you contact them on twitter.com/@churchthemesnet? the entire 30 days support ran out. churchthemes.net never did answer my request for help. the theme is nice, but it's got some flaws…. I'm getting errors in the paid version of the calvary theme…. that is what my question was about. churchthemes.net never did reply. just keep the free version if you have it. dont expect any help from these guys. they promised lots of things but did not deliver. wish I kept my $40 bucks. Worst support in the history of forever! I have 20 tickets open and NONE have even been looked at… no "sorry for the delay, I'll be getting to them soon" NADA! Themes are good… but if you need ANY help at all, BEWARE!